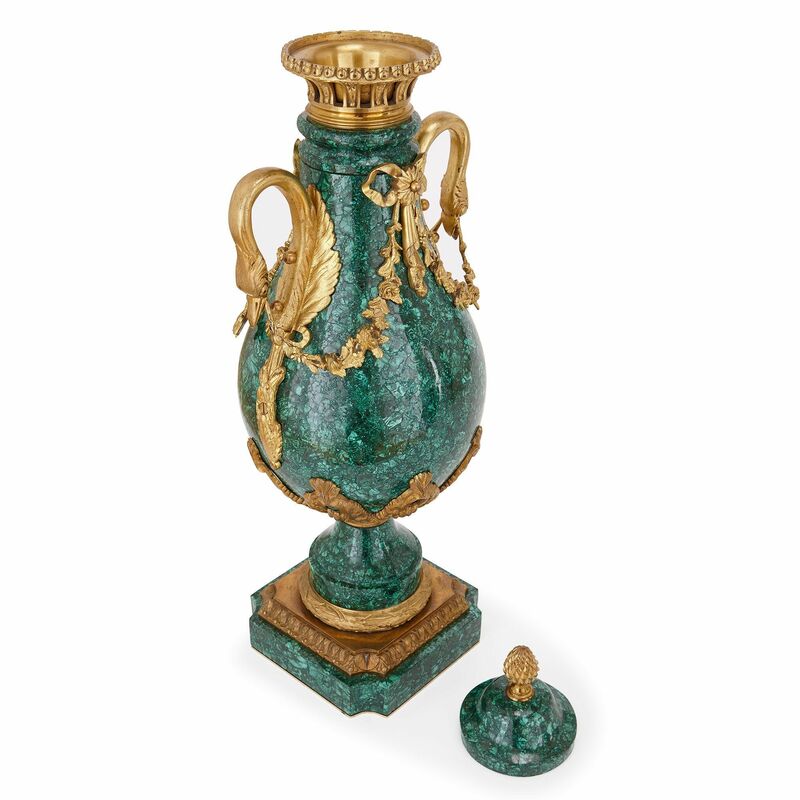 These sumptuous malachite vases are beautifully designed and are distinguished for the fine quality of the gilt bronze mounts, in particular the swan handles. 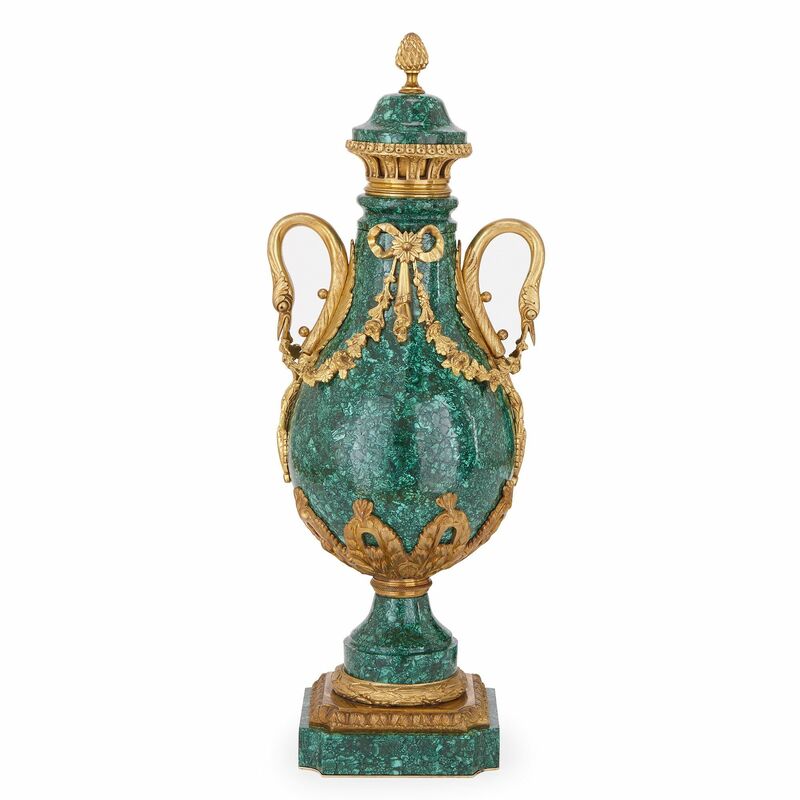 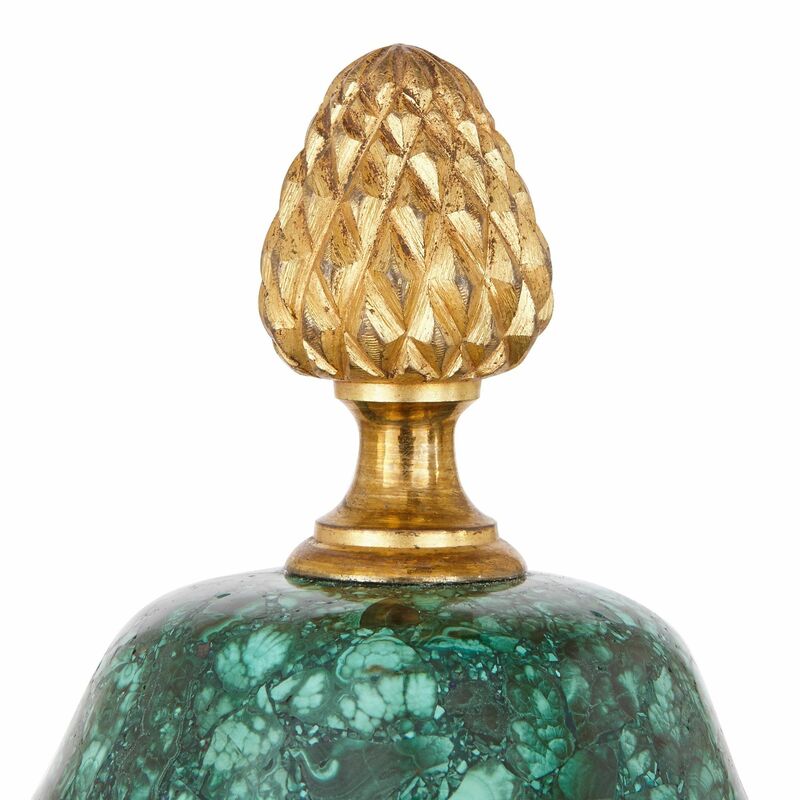 The pair of baluster form vases are veneered in malachite and feature fine mounts in ormolu. 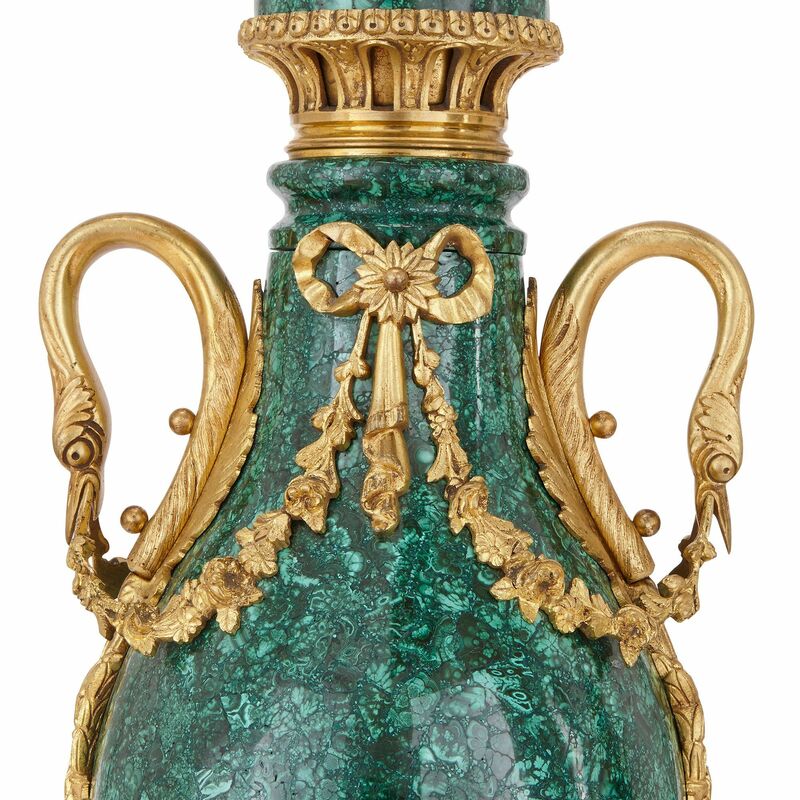 The vases are surmounted with covers, topped with pine cone finials. 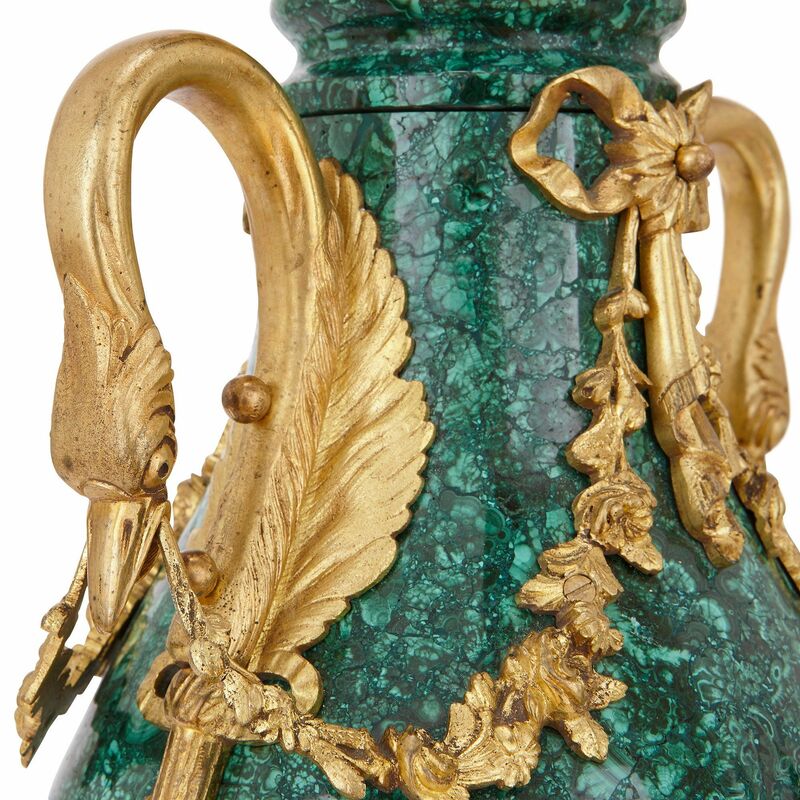 The ormolu mounts are wondrously cast into ribbons tied with floral swags that issue from the handles, which are shaped into swan heads. 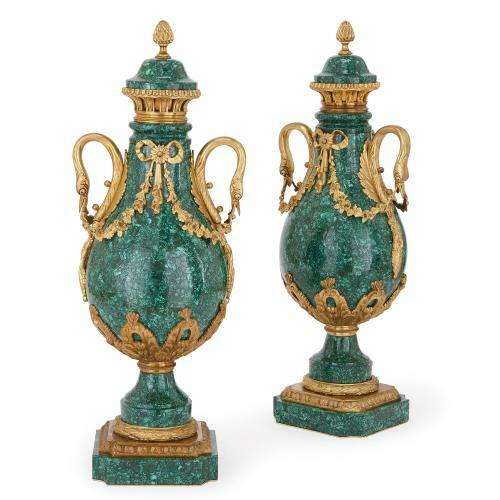 The vases sit on square bases with canted angles, decorated with waisted laurel wreath socles in ormolu.